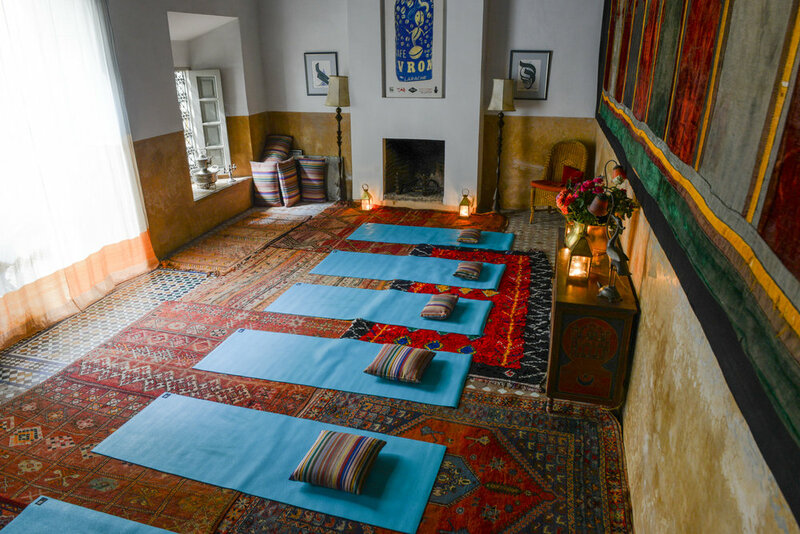 Join us on another 4 day women-only retreat in May and experience the magic of Morocco, the power of great food, daily yoga and sisterhood!! We can't quite put our finger on it but something truly magical happens when a tribe of like-minded women share a collective experience of mindfulness, (lots of) laughter and self expression. Come with the intention of 'me time' and leave reconnected to yourself but with a heart brimming with support, wisdom and love from some truly beautiful souls. Vibrant and lively, Marrakech is a city that excites the senses and is a definite on any traveller’s bucket list. We love it because because it offers the perfect combination of climate, culture and indulgence. 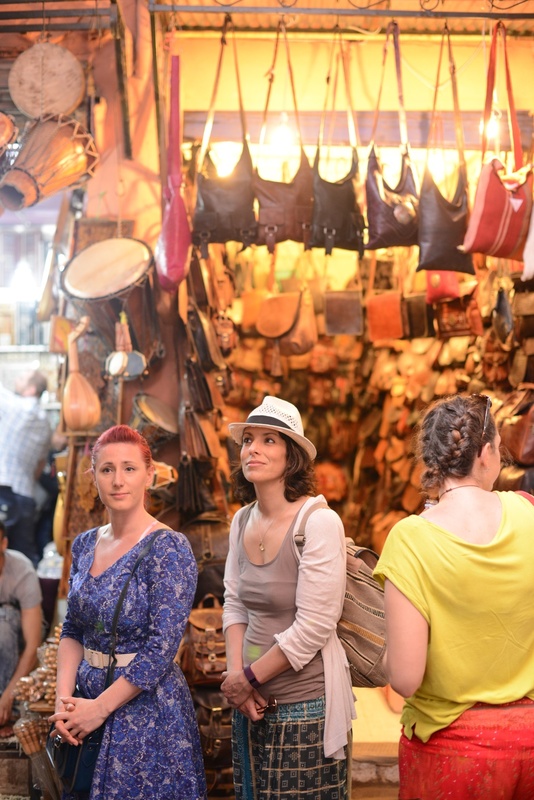 We want you to experience 4 days of bliss with a generous sprinkling of all that Morocco has to offer. With this in mind we will be organising activities (optional) and also scheduling in lots of free time, for you to do whatever you choose be it explore the souks or sunbathe on the terrace. We've also introduced a Groove Om Yoga Disco to our Saturday evening which ticks all the boxes for good vibes, beats and glitter . The month of May also offers the perfect climate to visit Morocco and it's usually glorious sunny. Temperatures will be reaching up to 29C in the day and dropping to around 15C in the evening. 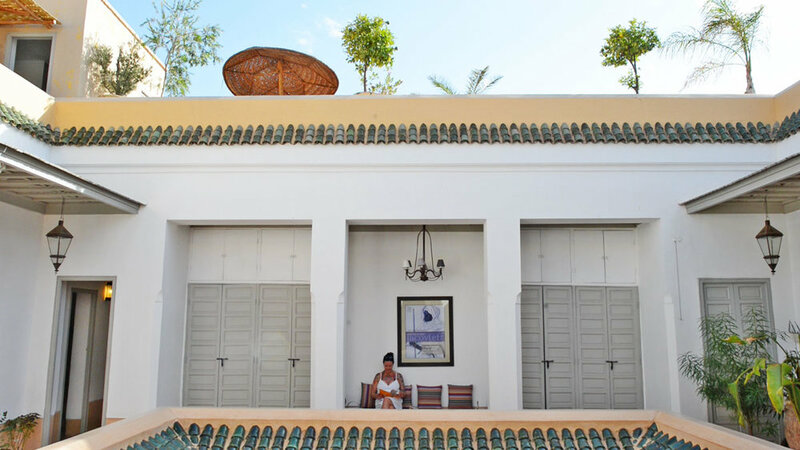 We have selected a beautiful historic Dar with real wow factor as our oasis of calm for Tonic Marrakech. 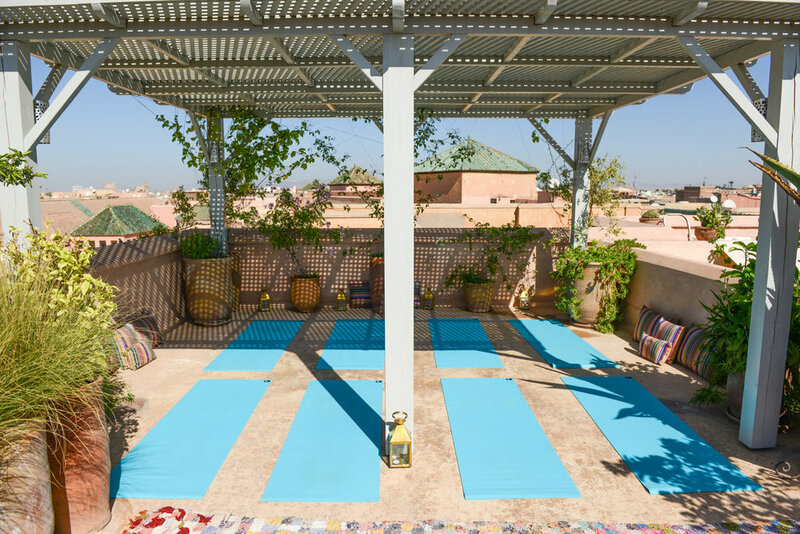 Dar Lalla F'dila is located close to the Museum of Marrakech with sweeping views across the rooftop of the city and the Atlas mountains beyond. Once owned by the Grand Vizer (advisor to the king), it was part of the original grounds of the ancient palace and has been home to Jazz icon of the 1920's Josephine Baker who loved to relax in the fountain courtyard. All rooms have ensuite bath or shower, hairdryers and stylish French Moroccan finishes. 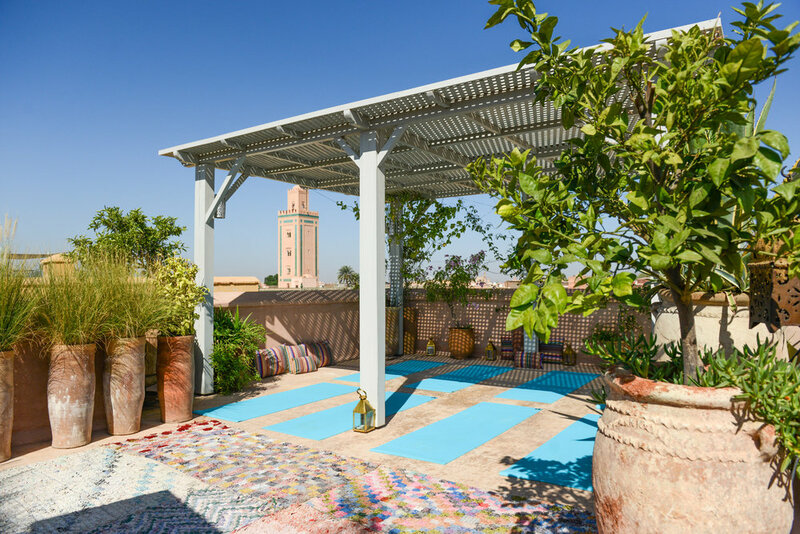 The Dar has a dedicated rooftop and indoor yoga space, dipping pool and even private hammam! 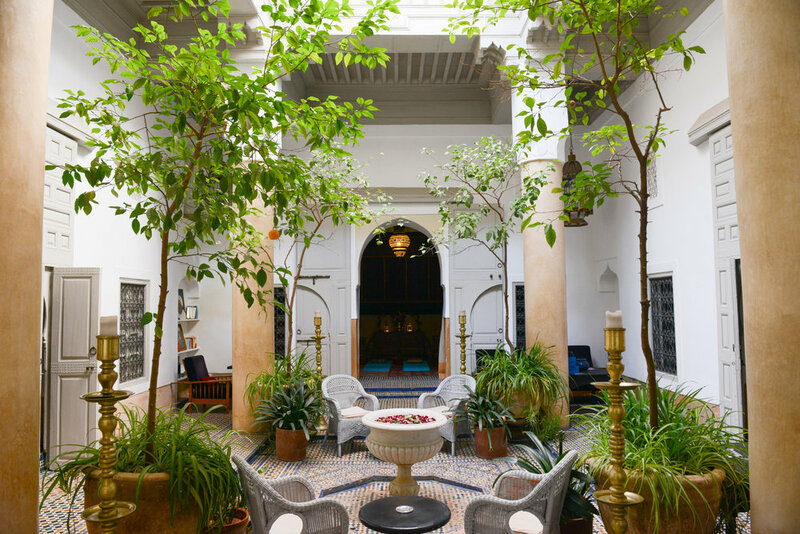 Steeped in heritage with plenty of space to relax in, Dar Lalla F'dila feels like a home from home and is the perfect place for you to unwind.